Aug. 24 — One of Donald Trump’s companies recently had a run-in with joint employer liability, which could make the Republican presidential nominee an ally for opponents of the NLRB’s move to expand legal responsibility for businesses. Trump Miami Resort Management, which operates the Trump National Doral golf resort in South Florida, recently settled claims by a group of catering workers who said they weren’t paid for a 10-day event at the property. The deal came after a federal judge found that Trump Miami may be liable as the workers’ joint employer, even though they were hired by a staffing agency, and another business actually ran the event. The $125,000 settlement is a drop in the bucket for Trump, whose business purchased the resort for nearly $105 million in 2012. Still, the case could be an entryway for business groups that want the next president to undo a 2015 National Labor Relations Board decision widening joint employer liability. The board ruled in Browning-Ferris Indus. of Calif., Inc., 362 N.L.R.B. No. 186, 204 LRRM 1154 (2015), that a business may be considered a joint employer under the National Labor Relations Act if it has the right to control workers, even indirectly. The Trump National Doral case involved claims under the Fair Labor Standards Act, but critics are concerned that the NLRB’s standard may creep into other labor and employment laws. Nearly 50 food catering service workers sued Trump Miami and a handful of other businesses in January 2015. The workers alleged they weren’t paid minimum wages and overtime for a 10-day Passover event held at the resort. 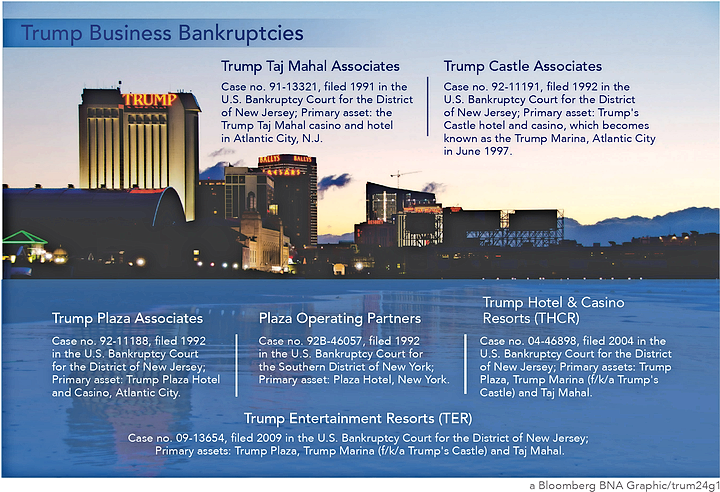 A company called Trump Endeavor 12 LLC—whose president is Donald Trump—owns the property. Trump Miami, which also lists Trump as president in corporate filings, manages the resort’s day-to-day operations. Eden Tours LLC organized the event. The company contracted with Asai Inc. to provide banquet servers and other staff. Trump Miami settled the lawsuit in May, agreeing to pay the workers $35,000 and to shell out an additional $90,000 in legal fees. The company didn’t admit responsibility or wrongdoing as part of the settlement. Trump Miami has since sued Eden Tours, Asai and the company that catered the event to recoup the settlement payment and litigation costs. The settlement came shortly after a federal judge denied Trump Miami’s motion for summary judgment, in which the company argued that it wasn’t the workers’ employer. Although Asai hired the catering staff for the event, Judge Cecilia Altonaga said fact questions remained about whether Trump Miami also acted as the workers’ employer. Courts typically consider eight individual factors—collectively called the “economic realities” test—to determine whether a business should be considered a worker’s employer under the FLSA. In the National Doral case, Altonaga noted in particular that some of the workers claimed they were directly supervised by Trump Miami’s full-time banquet captain and that the executive chef and assistant catering director also took an active role in managing the Passover event. The workers also alleged that Trump Miami banquet captains were heavily involved in a pre-event audition process in which they determined how roles would be assigned. Altonaga said the event arguably fell within Trump Miami’s integral business operations because participants were resort guests. Trump Miami appeared to retain sufficient control over the area of the resort where the event took place, the judge said, to potentially be aware of the alleged wage and hour violations. Altonaga decided the case under a narrower standard for joint employer liability than the NLRB adopted in Browning-Ferris. The board in that case expanded the scope of joint employer liability under the NLRA. The law governs union representation elections and protects employees who engage in covered organizing activities. The NLRB said an entity may be considered a joint employer if it has the right to control workers, even if the entity doesn’t exercise that right. The board also said an entity that controls workers indirectly—through an intermediary like a staffing firm—may be on the hook for unfair labor violations as a joint employer. The board and its supporters have said the new standard better reflects modern workplace realities, including businesses’ increasing reliance on staffing agencies and other third-party relationships. The ruling’s critics say the board undid decades of precedent to tip the scales in favor of unions in representation cases. The Browning-Ferris decision is currently on appeal. Meanwhile, moves by the Labor Department have also prompted concerns that it is seeking to expand liability under federal wage and hour laws and other statutes. Meanwhile, a draft memo leaked in 2015 suggested that the DOL Occupational Safety and Health Administration was mulling whether a franchiser may be liable for a franchisee’s workplace safety violations under a broader view of the joint employment relationship. Browning-Ferris critics are taking the kitchen sink approach to stopping the decision, pushing legislation at the federal and state level and fighting the ruling and other similar cases in court. They’re also looking to keep the issue fresh, with the hope that whoever replaces President Barack Obama scraps the new joint employer standard. Trump hasn’t taken a public position on the joint employer issue, and there’s no indication that the candidate himself was personally involved in the National Doral case. Democratic nominee Hillary Clinton—who leads Trump by anywhere from two to eight percentage points among likely voters in recent national polls—also hasn’t publicly commented on the Browning-Ferris decision. The Trump Organization is monitoring Browning-Ferris, Martin said, and the decision and the settlement in the Doral National case haven't changed the way Trump businesses operate. The settlement was a unique situation that stemmed from Asai’s refusal to pay the workers, rather than any problems with the way Doral National operates events, she said.